Home / Treatment Choices / Is weed addictive? Is weed addictive? This is the question posed by many in the health community. It is also a great concern and matter of debate among the medical professionals and of course the weed consumers. Weed, also known as Marijuana, pot, mary jane, etc is the most common illicit drug. Drug addiction has always been real. It affects a dangerously high number around the globe. However, people being addicted to certain drugs sometimes do not accept the level of addiction they are going through. In this regard, it is important to reflect upon the debate of is weed addictive or not? The simple answer to this question is YES! A lot of people do not agree on this on the basis of comparing it with other drugs. These include nicotine, cocaine, heroin, etc. These aforementioned drugs have higher addiction rate than weed. If asked is weed addictive, a lot of people also tend to show a few stats that report no deaths even with its chronic use. This further strengthens their belief in the non-addictive properties of weed or marijuana. However, according to The National Institute on Drug Abuse (NIDA), everyone in seven-person suffers from the addiction of marijuana or weed. 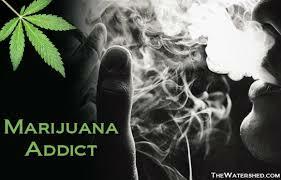 The majority of pot smokers do not seem to develop weed addiction while many people do have control over its use. They tend to use it exactly in an amount that does not harm them. But, stating that weed addiction is not very high like other drugs do not alter the fact that weed addiction does not exist. Marijuana or weed rose in popularity in America, especially in the 1960s and 1970s. However, Marijuana (Cannabis sativa) is grown in the United States since the early 1700s. The early settlers brought the plant from Europe to produce hemp. Thus, weed normally refers to the dried leaves, stems, flowers and seeds from this green, leafy plant. This is why the image of the cannabis leaf is a very popular symbol in the marijuana counterculture. Physically, dried marijuana varies in color from green to brown, and looks similar to clumps of joints, moss and blunts. Edible marijuana, baked in cookies, brownies look virtually identical to regular versions of the food. For example, pot brownies have the same physical appearance as that of regular brownies, except the difference in taste and smell. Weed Addiction- how does it work? The United States of America grows the most weed locally which is a contributing factor of weed addiction in America. Addiction is actually a different notion than dependence or abuse. 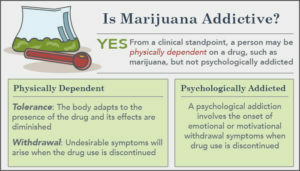 Weed or marijuana dependence refers to experiencing sudden marijuana withdrawal symptoms upon quitting the drug. While addiction refers to a compulsion, craving and absolute enslavement to that drug. Drug addiction is indeed a neurobiological complex disease since it alters how a brain normally functions and operates. The mind-altering substance in marijuana is delta-9-tetrahydrocannabinol, also known as THC. THC, the main compound in marijuana, makes its way from the lungs into the bloodstream when the pot is smoked. It then travels to the brain. 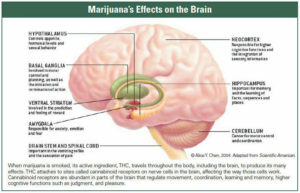 THC interacts and activates brain proteins called cannabinoid receptors. These receptors are critical in the areas of memory, learning and reward processing. During this, the brain also releases its neurotransmitters Dopamine, the pleasure hormone. Dopamine gives rise to feelings of pleasure and positive emotions. The increase in dopamine also takes place for those who use heroin and cocaine. This arises the feeling of euphoria and being high upon consumption of weed. But over time, of course, it develops into an addiction like any other drug. The extent of addiction is so huge that upon the non-availability of weed, one feels as if he can not function any further. This produces negative impacts for a drug addict’s health, personal relationships and professional life. The absorption rate of weed is slower than other drugs. A time span of 30 minutes to an hour is required for the weed to properly work. 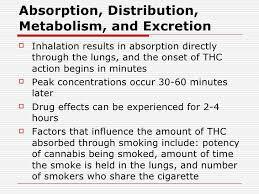 The effect is faster upon ingestion of the drug as compared to smoking it. Stats regarding the debate of is weed addictive? Lately, reports suggest that 30 percent of those who use marijuana may have some degree of marijuana use disorder. According to NIDA, people who begin using marijuana before the age of 18 are seven times more likely to develop a marijuana use disorder. In 2016, the Centers for Disease Control and Prevention (CDC) found that approximately 37.8 million adults in the United States currently smoked cigarettes. More than 360,000 people got a treatment of addiction in 2010, the Substance Abuse and Mental Health Services Administration claims. The research found out that they were using marijuana as a primary drug. In other words, it was because of marijuana and weed consumption and its effects on their body and brain. The most common addiction was for marijuana with 4 million individuals 12 or older addicted to this substance in 2016, out of the 7.4 million people who were addicted to illicit drugs. People who normally question is weed addictive may find a positive answer to this after these shocking statistics. 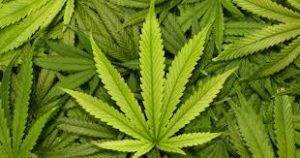 Weed or marijuana is legal in many parts of the United States, spurring continued political controversy around the substance. Smoking medical marijuana is common across the United States. 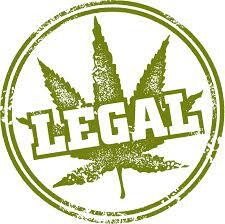 In California, Colorado, Washington and some other regions of the US, smoking normal marijuana is also permitted. It does not come with a potential medical benefit because the studies relating to its health benefits are vague. Despite this, legalizing this drug is a dangerous threat. 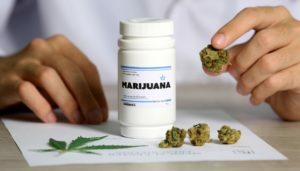 Reports also suggest that weed can be beneficial to a variety of individuals, especially those living with certain conditions causing pain, intense vomiting, or severe lack of appetite. Some people suffering from epilepsy also report experiencing improvement in their health. Others make no such claim. Hence the statistics remain unreliable. 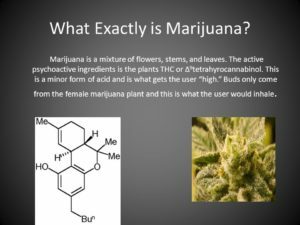 Few studies claim that the active ingredient tetrahydrocannabinol (THC) in marijuana is one of a group of compounds having medicinal effects. Another, known as cannabidiol (CBD), does not cause the “high” associated with marijuana. According to studies, it is emerging as one of the plant’s leading medicinal compounds. However, Marijuana in 1970 was put into Schedule 1 drug category. Schedule 1 drugs are those drugs, substances or chemicals with no currently accepted medical use and a high potential for abuse. This sparks the controversy about its true medical use. 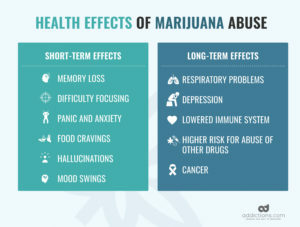 Just because people consider marijuana or weed addiction as relatively lesser harmful than other drugs does not make its side effects lesser. Even mild weed addiction poses certain risks. As a result of smoking, an alteration in the senses of smoker including memory, perception of time and motor skills also happen. Weed can have considerable negative effects on many people. A lot of people after feeling a burst and boost in energy might want to sweep these negative effects under the carpet. Yes, not many studies prove that weed can cause death. However, risks of death by other causes which include car accident or reckless behavior, for example, increases while being intoxicated. Despite ongoing negative consequences, a drug addict would consume weed. This is what addiction is. We receive so many letters and stories regarding marijuana addiction. Most of them are from the partners, colleagues, and relatives rather than the user himself. This means that the weed addict is not aware of how he is impacting the lives of others. Listening to the stories of people attached to the drug consumers has motivated us to do something for the addicts. If you or your loved ones want to begin a journey of weed-free life, feel free to call us at our always available contact number (844) 207-7757. Our trained consultants are eager to answer any query you might have about any sort of addiction. The call will stay confidential and private. We ensure that you will get rid of this addiction without relying on any substance that may have chained your life. Let’s take the challenge. Let’s take this step towards a sober and healthy life together.